Four, count’em, FOUR filets, with Ed’s signature cornmeal seasoning, lightly fried and served between two pieces of white bread w/yellow mustard, hot sauce, white onions, and dill pickle slices. Add a slice of cheese to this flavor explosion for addt. $.35. Extra pickles, bread, onions, or pepper......................$.35/ea. 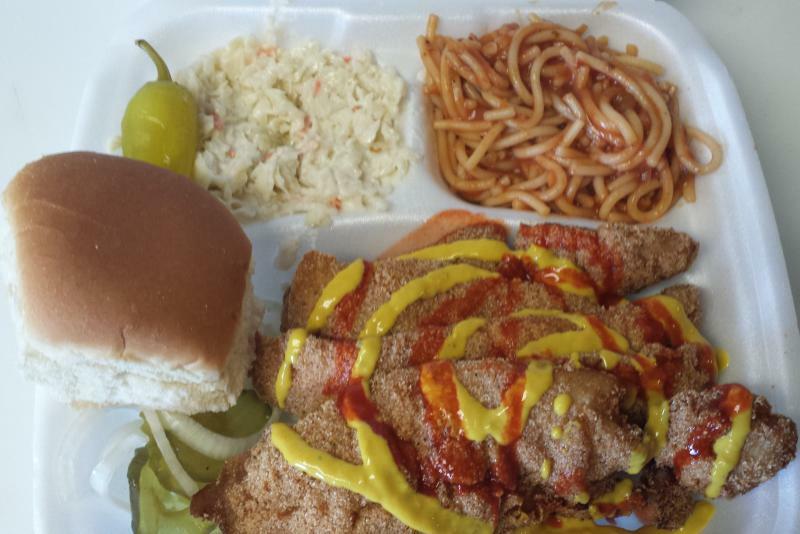 Ed's Fish House caters lunches, dinners, parties, family reunions, and on and on....... Also available are vending services where we can park a trailer at your event and deliver fresh and delicious food to your guests at reasonable prices. 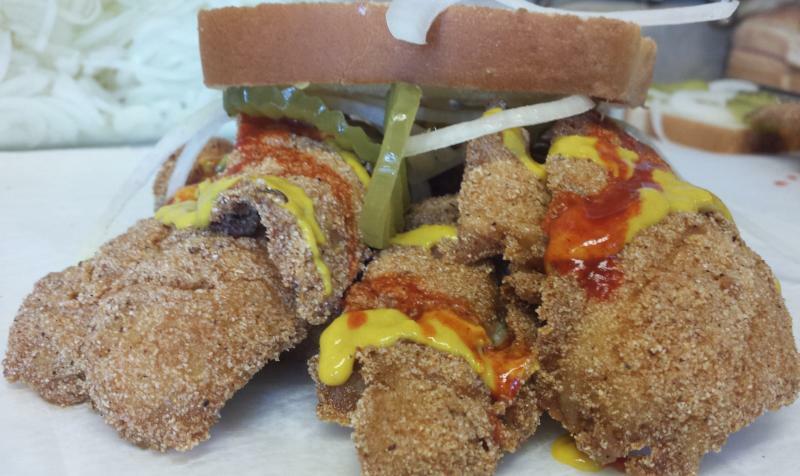 Ed's combination of whiting, mustard, hot sauce, and onion is unique to Nashville and has been tantalizing tastebuds since 1972. Calling in your order puts your order in line with present customers, but Ed promises “cooked fresh” fish, so your order isn’t dropped until you arrive.